In the Garden of Eden, the man had no limits, except for not eating from the tree of the knowledge of good and evil. It seems that our nature to strive to be limitless, but it is this very innate drive that brings death. The definition of our humanity is our being limited by our mortality. What are the implications of for our morality? How do limits, both mortal and moral, help us create meaning in our lives? Similar to what Shalom Orzach and I did when we created Möbius Torah: The Media and Message of Torah and Teshuva we were inspired by McLuhan’s “The medium is the message“ of the Möbius medium and the advent of the Book of Genesis. This inspired our creation of Limitless: Möbius Torah 2.0 which explores some ideas in the Divine infinitude and our human limits. Print this page our on Ledger (11×17) sized paper. This will ensure it is big enough to read. Cut out the table on the sheet. Fold along the dotted line with the writing facing outwards. Bend Paper into a circular shaped cuff. Tape the ends to create a möbius strip as in this picture. 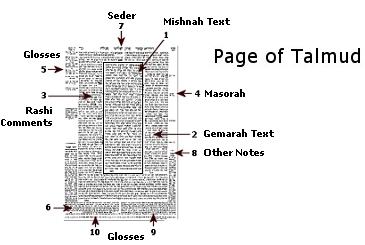 As you learn it turn it and turn it again because there is no beginning and no end to learning Torah. Alternatively you can just learn the text without the arts and crafts project, but that would not be as much fun. With Möbius Torah we hope to create a symbiotic relationship by which the medium influences how the message the Torah is perceived. Please print this out and enjoy. It has been a pleasure playing with Shalom in the bringing you this Torah. As always I would love your input and ideas for other ways to make revelation relevant, engaging, and more accessible. So please do be in touch. Recently my dear friend Shalom Orzach was in touch because he wanted explore making another contemporary daf of Talmud. Together we had made one exploring Leah Goldberg’s Pine and the Landscape of Israel and it was a lot of fun. Despite being very busy I was up for the challenge. It seemed like a great way of preparing for the High Holidays. Pretty quickly we started batting back and forth different texts that we might want to play with in the project. You really have to love Google Docs. Out of this process emerged two interested strands dealing with Teshuva and the question as to where or when is the beginning of our story. In general this project was in pursuit of putting modern and relevant content in the standard form of the Vilna Daf. In general it is an amazing way to portray a conversation over time, but seeing the themes involved I thought we might push ourselves. With Möbius Torah 1.0 we hope to create a symbiotic relationship by which the medium influences how the message the Torah is perceived. Please print this out and enjoy. It has been a pleasure playing with Shalom in the bringing you this Torah. As always I would love your input and ideas for other ways to make revelation relevant, engaging, and more accessible. So please do be in touch.